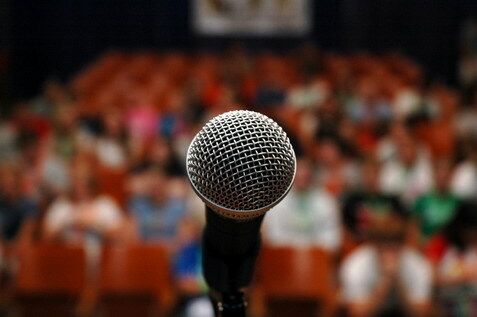 Question: Should I memorize my presentation? One job I had, many years back, required me to do a 45 minute sales training followed by a soft “pitch” to invest in additional training. Strategic parts of the presentation were customized to the client’s needs. However, most of the pitch was scripted in order to lead the audience to decide that purchasing the additional training makes good sense. In that circumstance, having large portions of the presentation memorized strengthened the message, improved the impact and increased my closing ratio. In my early 20’s, I leased apartments. My presentation involved taking prospects on a tour of the apartment community. This presentation was a dialogue that involved gathering information that would help me to present the property in such a way that it addressed their needs. There were certain things I needed to hit in every presentation such as the pool, the fitness center, the management company, the community features and benefits. While some content was the same, a majority of the content was customized. In this situation, customization strengthened the message, improved the impact and increased my closing ratio. For typical business presentations, I do not recommend memorizing the whole presentation. In addition to being incredibly time consuming, some people get thrown if they forget a part or the words don’t come out exactly as they were written. Additionally, you don’t want to sound like you are scripted. It needs to sound natural and conversational. At the same time, winging the presentation will rarely convey the message most effectively nor will it get you the desired outcome. There are certain factors which can impact whether memorization makes sense for a particular presentation, for example, the time available to prepare, the audience, the established format, the time allowed to present.